Here is a list of five commonly available and super-nutritious dry fruits that should be consumed every day for all the health benefits that they possess. An everyday dry fruit you should never skip. One of the most commonly consumed dry-fruits, almonds have several health benefits for people across age-groups. 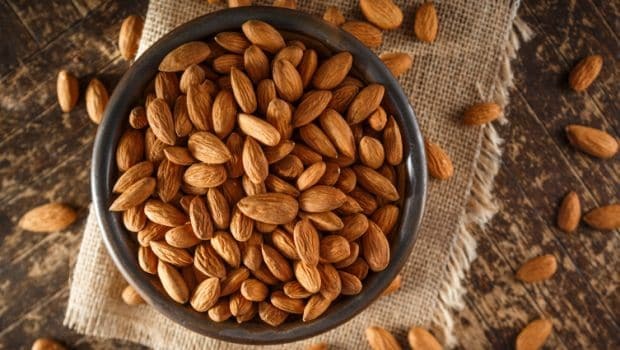 Here are a few reasons on why you should munch on a handful of almonds every single day. Being naturally high in monounsaturated fatty acids and Vitamin E, almonds help in maintaining healthy cholesterol levels. 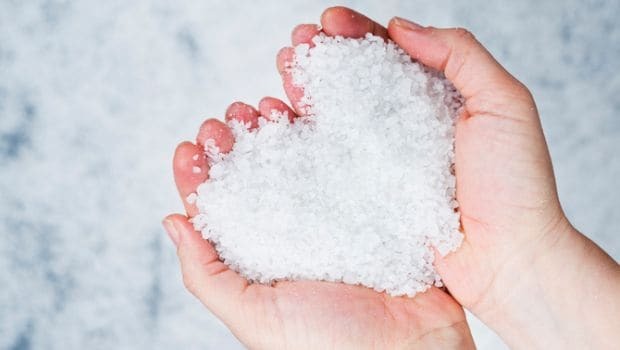 Presence of magnesium and potassium also help to maintain normal blood pressure and heart function. Add them in your daily diet and watch out for effective results. High dietary fibre, proteins and good fats present in almonds makes you feel fuller and thus helps to avoid overeating. Studies have shown that those on an almond-enriched diet had greater reductions in weight, waistline circumference and body fat. Diet Tip: Instead of consuming almond on its own, you could combine them with your meals as this would help lower the glycemic index of the accompanying food. Add sliced or chopped almonds to salads, pasta or a vegetable gravy. A powerhouse of goodness, walnuts is loaded with health benefiting properties. Including walnuts in your diet everyday can have several health benefits. These brown and crunchy delights are a treat to the taste buds. Whether you use them in salads or in desserts, walnuts taste good in almost all forms. 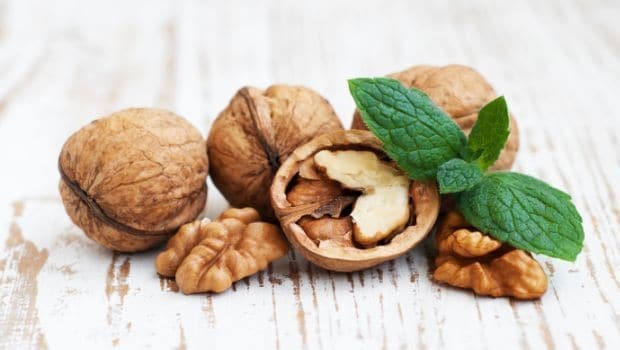 Walnuts have a number of neuroprotective compounds such as vitamin E, Omega 3 fatty acids and antioxidants which help to enhance cognitive function. They help to fight stress and promote a sense of calm. According to studies, vitamin E and flavanoids in walnuts also help to destroy harmful free radicals that can cause dementia. Regular consumption of Walnuts can help to reduce the risk of pancreatic and breast cancer as well as reduce the proliferation of cancer cells. 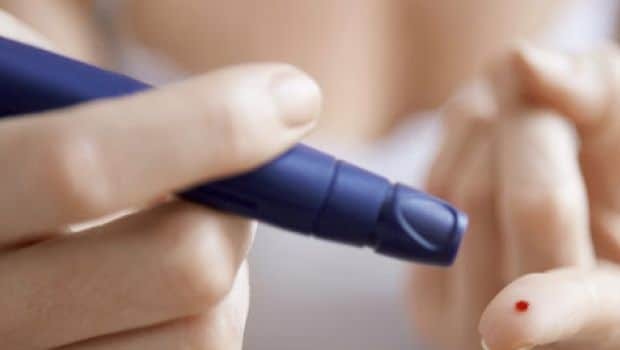 Research has shown that its high ALA (Alpha Linolenic Acid, which is an Omega 3 Fatty acid) and melatonin content maybe responsible for its chemo-preventive properties. Walnuts are rich in B-vitamins and antioxidants that fight free radical damage thus delaying and helping prevent wrinkles and other signs of ageing. Further, the presence of biotin helps to strengthen hair and reduces hair fall. Include it in your daily diet and watch out for results. Diet Tip: About 4 – 7 pieces of walnuts is the recommended quantity that can be consumed on a daily basis. Grind them and mix it with chapatti dough or use it in thicken soups, gravies, sauces, and stew. This South American nut has a long list of health benefits which make it fit for consumption regularly. Apart from improving digestion, brazil nuts are also known to boost immunity. If you wish to enhance your skin’s overall health, then bring Brazil nuts to your rescue. Brazil nuts are among the richest sources of Selenium which helps to maintain the normal functioning of Thyroid. 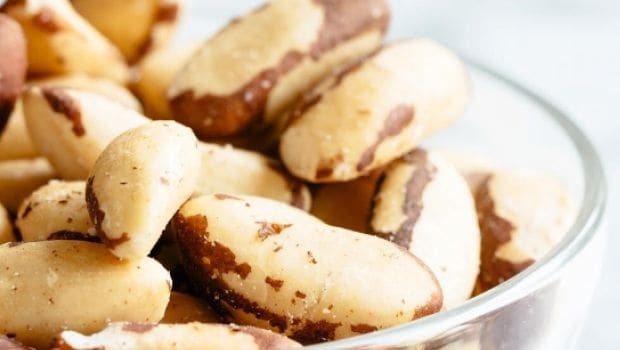 Selenium serves as a catalyst in the production of the Thyroid hormone and thus regular consumption of Brazil nuts helps to improve the hormone level in patients with reduced levels. Studies have shown that Brazil nuts can help in preventing the development of cancer. This is due to their high Selenium and Ellagic acid content. They enhance the effect of antioxidants which in turn can inhibit cell growth and thus prevent the formation of malignant tumours. Brazil nuts are a rich source of Calcium, Potassium and Magnesium which help to regulate blood pressure. The unsaturated fats present in these nuts also help to increase the HDL or good cholesterol levels and thus helping reduce the risk of heart attack or stroke. Diet Tip: Eating 2-3 Brazil nuts everyday day would be an optimum quantity. Mix these to your trail mixes or sprinkle over your porridge or daliya. 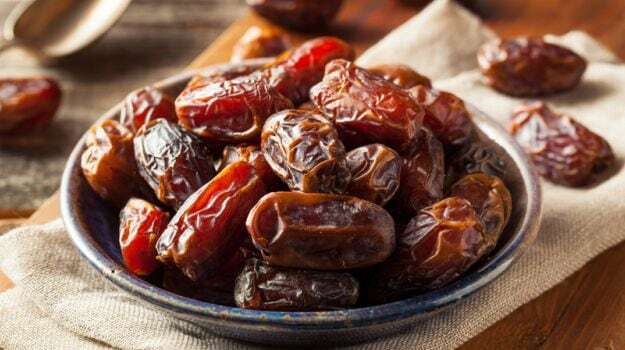 Don’t miss your date with this Iron-rich dried fruit. Talk about winters and this gooey yet super-delicious dry fruit comes to mind. This wholesome and nourishing delight can be savoured in any form, be it dessert or as a snack as well. Dates are an excellent source of Iron and hence extremely beneficial for people suffering from Anemia. If you feel that you’ve been suffering from the symptoms of anemia, then you may add this this nutritious delight in your daily diet. Being naturally high in sugars such as glucose, fructose and sucrose, dates can give an immediate boost of energy. It is often used for breaking fasts since it helps to revitalise the body instantly. The fibre content present in dates helps to promote digestion and also relieves constipation. It is a very good home remedy to keep constipation at bay. Ripe dates are also rich in Potassium which has been shown to control diarrhea. Diet Tip: Have 2-3 dates in the afternoon or whenever you feel a little sluggish to get an instant energy boost. The dried version of the beautiful orange fruit is full of antioxidants and good for your skin too. 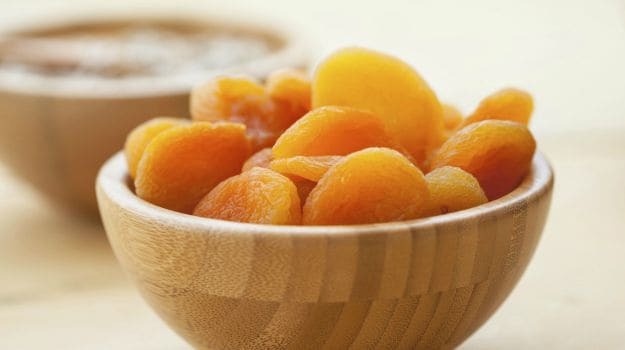 Loaded with the goodness of vitamin A, apricots could help in enhancement of vision. Other than this, it also helps keep the immune system in check. Apricots, owing to their rich Pro-vitamin A and beta carotenoid content, are known to prevent age related loss of sight in older people. It also helps to strengthen the optic nerves. Make this wondrous food a part of your daily diet and watch out for results. Apricots have a very high level of antioxidants which helps to fight the negative effects of free radicals. They also have anti-cancer properties and inhibit cancerous growths. Apricots are a good source of Iron so regular consumption helps to prevent the development of anemia. Apricots help in maintaining healthy bones due to their high calcium and potassium content. 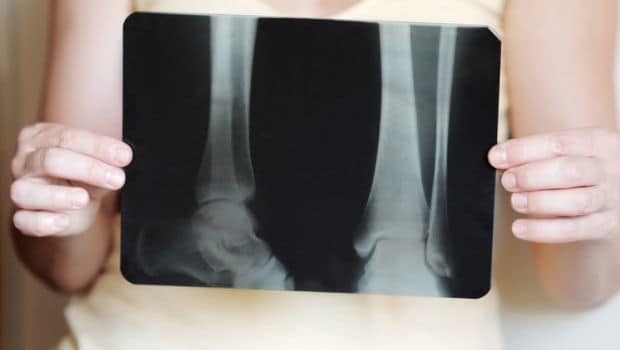 Calcium is required for bone formation and development while potassium is instrumental in the absorption, distribution and excretion of Calcium in the body. The presence of antioxidants and Vitamin C help to reduce fine lines and wrinkles and gives the skin a smooth appearance. It also enables faster cell regeneration to replace the dead skin cells. Diet Tip: Include apricots in your daily meals by adding them to your morning breakfast cereal or a smoothie.